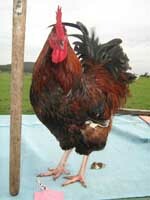 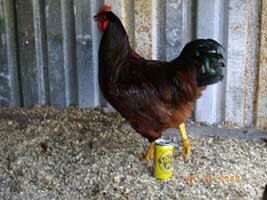 Judges Comment: Nice RIR Cockerel. 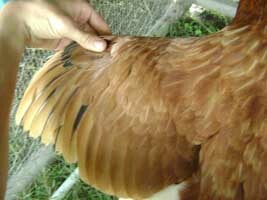 Could be a little bigger in the comb. 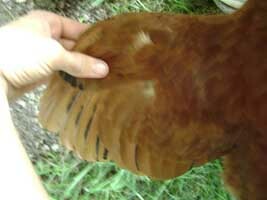 Nice dark red plumage. 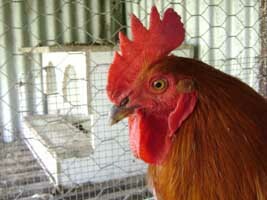 May just be the pic but appears he has a little bit of white in his right ear lobe. 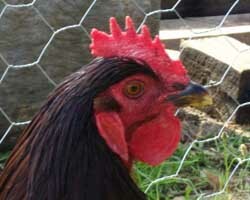 Judges Comment: Could be a little darker in plumage colour. 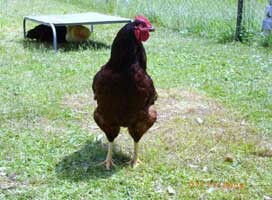 Bird not standing properly so unable to judge the bird in the way it needs to be. 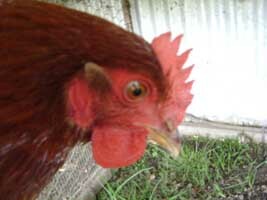 Judges Comment: This bird is too young to judge properly yet. 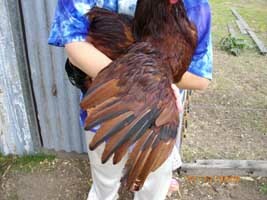 Judges Comment: Photos are of poor quality, no photo of wing. 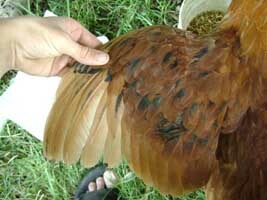 Neck hackle lacking alot of the black striping and white tips required. 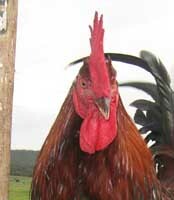 isnt that rooster to red, shouldnt he be darker? 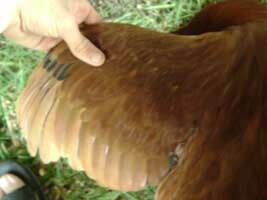 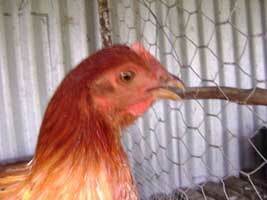 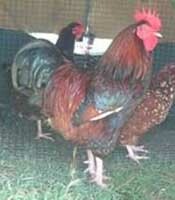 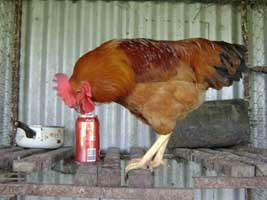 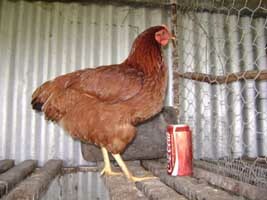 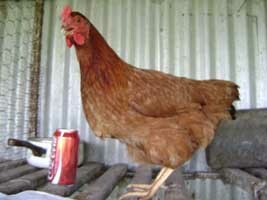 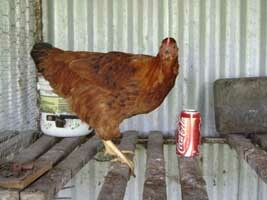 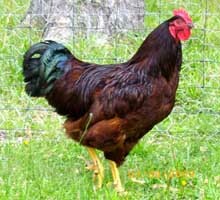 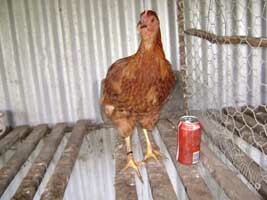 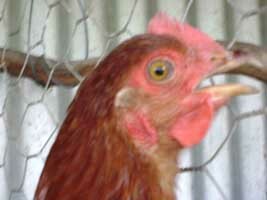 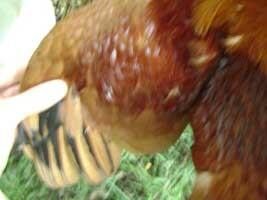 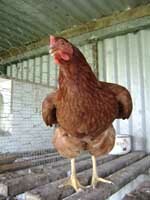 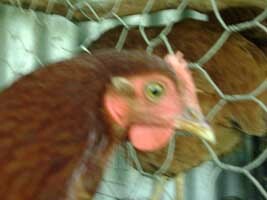 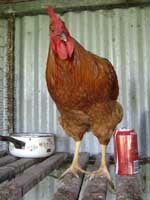 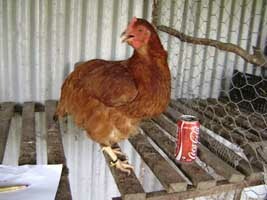 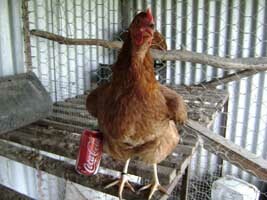 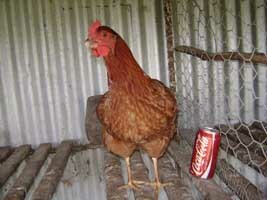 A Rhode Island Red is suppose to be red, not dark.